The signs read, “SULMA IS WELCOME HERE”, but for how long, and what is welcome? Ask Sulma Franco, a 31-year-old LGBT activist from Guatemala who has lived in Texas for six years, part of that in San Antonio, much of it in Austin. 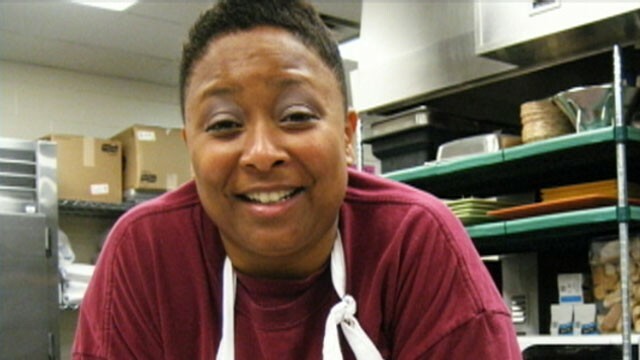 In Austin, she owned a thriving food truck business, La Ilusión. No longer. 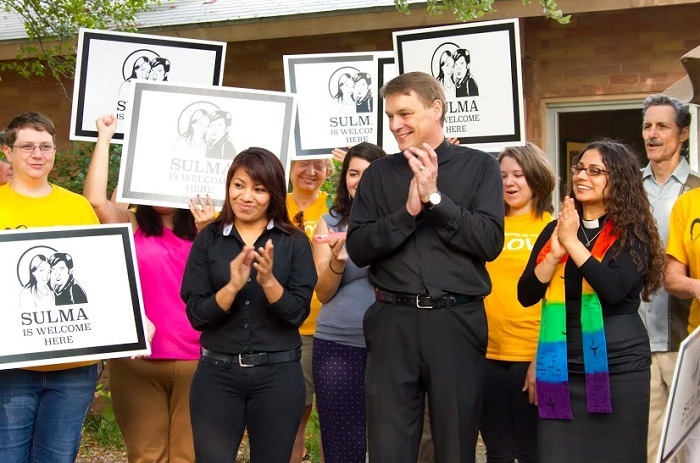 On June 11, Sulma Franco was given sanctuary in an Austin church. Faith based groups joined immigrant rights organizers and women’s groups to push for a stay in deportation. On Tuesday, August 18, Sulma Franco was granted an order of supervision, which allows her to stay in the United States “for the time being.” Meanwhile, La Ilusión is no more, thanks to months in detention. The treatment of Sulma Franco is a national disgrace, and it’s far from over. Yet again, for one woman to arrive at a precarious for-the-time-being, hundreds of people have to invest thousands of hours. In a famous scene in The Elephant Man, John Merrick, the protagonist, asks his mentor, “If your mercy is so cruel, what do you have for justice?” His mentor replies, “I am sorry. It is just the way things are.” Sulma Franco knows the way things are: cruel mercy, injustice posing as rule of law, and massive and intensive exploitation of those women who dare to dream. As simple as that. Turn “Jeff Davis” into Arthur Ashe. Do it now! If you live in Virginia, North Carolina, South Carolina, Georgia, Alabama, Mississippi, Louisiana, Texas, New Mexico, California, or Washington, you might live near Jefferson Davis Memorial Highway. That’s right. From sea to shining sea, from the Rio Grande to the Canadian border, Jefferson Davis is “honored” and, presumably, you are honored to drive in his memory. In 1913, the United Daughters of the Confederacy designed, planned and sponsored the Jefferson Davis Memorial Highway system, which was to extend from Washington, DC, to San Diego. Their plan was to overlay the Confederacy onto the map of the United States, an ocean-to-ocean highway that would compete with the Lincoln Highway. While the coordinated highway system no longer exists, in each of the states mentioned above, parts of it survive, and under the name Jefferson Davis Highway. When Dunshee first discovered the presence of the Confederacy in his home state, he said, “I was astonished that it was there. And then I was disgusted.” Disgust is a good response. Dunshee’s disgust only deepened, once he received calls telling him “to go back to Africa and take all of his kind with him.” Hans Dunshee’s “kind” would be German and Irish. 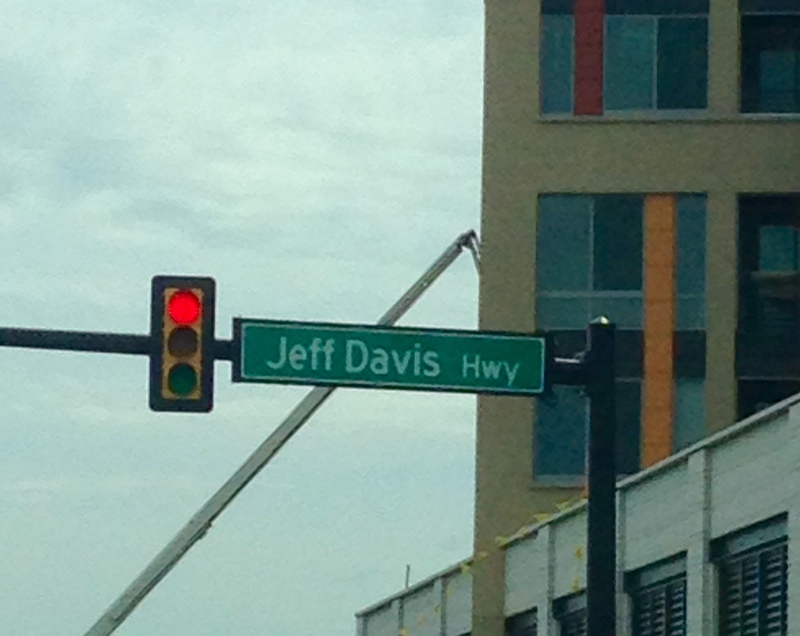 While the “Old Jefferson Davis Highway” was part of the original Jefferson Davis Memorial Highway, it wasn’t included in the Commonwealth’s 1922 designation of the Jefferson Davis Highway, and so Arlington County could change the name, once it convinced opponents that perhaps the real “importance of history” is not its repetition but rather its analysis and critique. Meanwhile, the rest of Jefferson Davis Memorial Highway in Virginia falls under the Commonwealth administration, and so any change there must go through Richmond. The lesson of history has to be that people can change their histories and themselves for the better; that we don’t happen upon progress, we make progress happen. From Washington, DC, to Charleston to Washington State, make freedom ring. Move from astonishment to disgust to astonishment. Tear down the flag; rewrite the name. 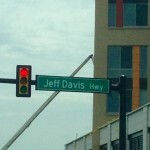 In Virginia, turn “Jeff Davis” into Arthur Ashe, a proud son of Virginia of whom we are all proud. Do it now. It’s the least we can do. In the spirit of Holy Week, the mothers of Karnes Immigration Detention Center, in south Texas, are on work and hunger strike. With their bodies, they are asserting their humanity, sisterhood, dignity, and, as so often, with their bodies they are protecting their children. This is the highway to hell we have constructed over the last few decades. Women and children fleeing violence, pleading for help and haven, are criminalized, vilified, and thrown into prisons. The site-specific irony, and tragedy, is that when Karnes was opened in 2012 the Obama administration hailed it as a model for more humane and less penal treatment of immigrants. All hail the new model. Karnes is so great that when Victoria Rossi, a paralegal, recently described the conditions therein, she was rewarded by being barred from the establishment. The conditions at Karnes are neither new nor unknown. Last year, the American Civil Liberties Union, the Mexican American Legal Defense and Education Fund and others wrote letters, filed complaints, and sued the Federal government because of the conditions at Karnes. MALDEF documented numerous cases of sexual abuse, extortion and harassment of women. The ACLU cited numerous women, who fled domestic violence at home, only to be locked behind bars in Texas. People heard. Individuals and communities heard. The State shrugged. Once, providing asylum to those who needed it was considered a sacred act. In the Book of Numbers, God ordered Moses to create “cities of refuge” or “cities of asylum,” for those fleeing unjust punishment. Women, like Ruth and Naomi, strangers in a strange land, could hope to take refuge in the shadow of the wings of a divinity embodied in human acts of mutual recognition. Today, the descendants of Ruth and Naomi live in Karnes, and they demand their freedom to be human beings: “We will keep refusing food until our demands for release are recognized. We will fight until we are granted our liberty. We’re tired of the treatment we’re receiving here. Our children are all losing weight because they’ve lost their appetites. 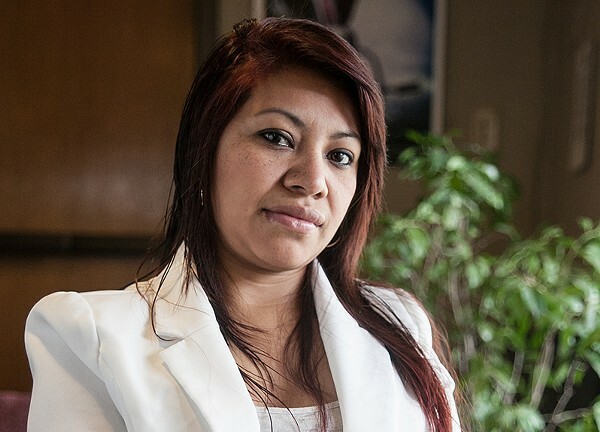 It’s like we’re living in a jail.” Today, Ruth is named Kenia, and she’s 26 and from Honduras. Today, December 18, 2014, is International Migrants Day. On December 18, 1990, the United Nations General Assembly adopted the International Convention on the Protection of the Rights of All Migrant Workers and Members of Their Families. What better way to honor that convention than to build the biggest, baddest prison for migrant women and children? Welcome to Texas, welcome to the United States of America, welcome to hell. Here’s how the United States builds hell. First, constitute migrants and immigrants as a threat. Include asylum seekers and refugees in this. Then, quickly translate threat into criminal element. Then build the prisons, et voilà! Hell! Homeland Security keeps building prisons for immigrants and migrants. It builds “family detention centers” for women and children. It then outsources the job to a limited number of mega companies. They keep failing at the job and then keep getting new contracts. The prisons keep “running into difficulties”, ranging from lack of health care and education and recreational facilities to overcrowding to sexual exploitation and violence by the staff. The typical is actually worse. The American Civil Liberties Union, the Mexican American Legal Defense and Education Fund and others have written letters, filed complaints, and sued the Federal government because of the conditions at Karnes. MALDEF has documented numerous cases of sexual abuse, extortion and harassment of women. The ACLU cites numerous women, who fled domestic violence at home, only to be locked behind bars in Texas. None of this is new. It repeats the violence against women that marked T. Don Hutto Residential Center, five years ago also in Texas, and the Eloy Detention Center in Arizona and the Artesia “Family Residential Center” in New Mexico. Everyone of them a colossal snake pit of sexual violence, extortion, harassment of women and children. Everyone of them a death-in-life sentence for hundreds and thousands of children and their mothers. Each time the violence is “discovered”, the “residents” are shipped like so much cargo to the next killing field. Honor International Migrants Day by celebrating the miracle of freedom, freedom of movement, association, life, choice and love. Celebrate the miracle of being truly human. 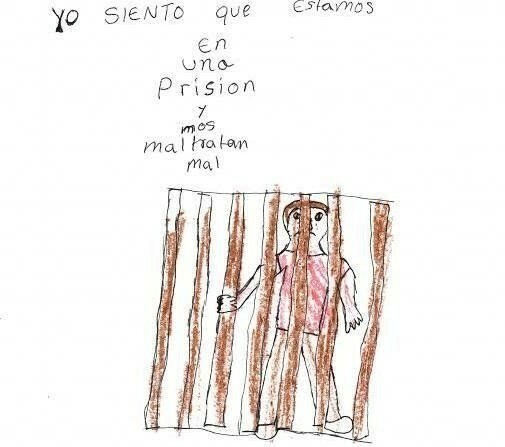 Close the prisons. Tear down the walls. Beat the guns into plowshares and the barbed wire and batons into pruning hooks. Welcome the migrants with open arms. Welcome the stranger as yourself. We had an abortion, we’re fine, thank you! Making access to abortion more difficult is a way to change the nature of women’s lives. It also unsettles the social position of women in those countries that in the sixties and seventies, after a century or so of illegality, legalized access to contraception and to abortion. In Texas, a recent court decision authorized HB2, a bill designed to make access to abortion more humiliating and difficult, even impossible for the most vulnerable women. Last week Democracy Now broadcast from San Antonio, “the last outpost for legal abortion in Texas,” in order to focus on this new attack on women’s lives. The shows featured Jeffrey Hons, CEO of Planned Parenthood in Texas, and Lindsay Rodriguez, President of the Lilith Fund, which provides financial support to women in Texas who cannot afford an abortion. It was also very difficult also for a young woman in Pennsylvania to terminate an unwanted pregnancy, because services were too far and too expensive. Her mother went to the Internet and found a way to help her daughter. She purchased mifepristone (formerly called RU-486) and misoprostol pills, which was what she could afford. For that `crime’, the mother was sent to jail. 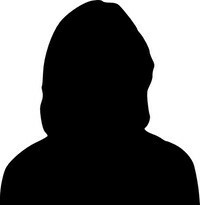 She had no access to suitable services and yet was denounced by the hospital, condemned by the judicial system and pilloried by the media. In Texas and other places where abortion is formally legal, abortion has remained taboo as if it were an unspeakable last result or an impossible choice for women. Women are meant to be ashamed because [a] they have violated the privacy of the household and [b] they are women seeking reproductive health. In recent years, safety and security rhetoric has led to the re-emergence of the argument that endangering the life of the mother justifies curtailing her right to control over her body. 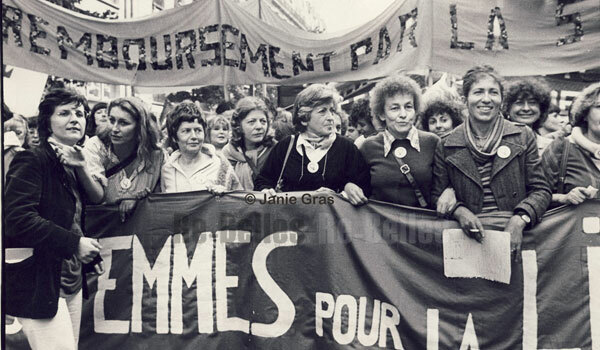 On September 27, 2014, Sabine Lambert addressed these issues at the “Feminist Struggles and Reflections to Advance Society” forum in Paris. Lambert belongs to the collective group “We had an abortion, we’re fine, thank you” (nous avons avorté, nous allons bien, merci). The group formed to create spaces to liberate women from the politics of guilt and shame regarding their decisions by exchanging stories and insights with other women. Instead of leaving abortion in the private sphere, they present abortion as a possible occurrence in women’s lives that carries no particular shame or guilt. After all a woman spends more time avoiding pregnancy than being pregnant. 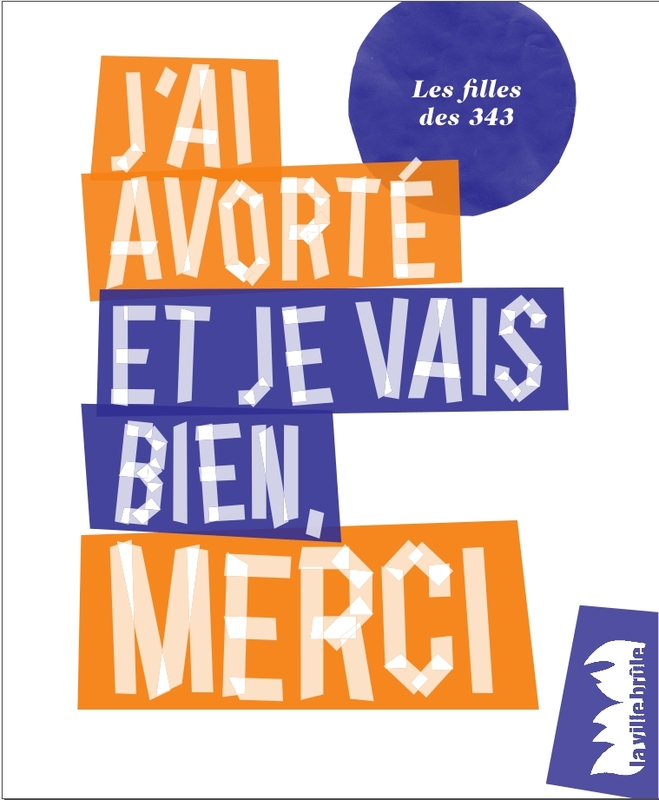 In France, abortion is free, a recognized as a right, and still relatively easy to access. Nevertheless, it is often described as a traumatizing event carrying terrible consequences for the mental well being of women. In recent years, these descriptions have become more prevalent. The idea that abortion should be averted by any means has prevailed, despite the fact that abortion has always existed and contraception will never be an absolute means of reproductive control. In France and across Europe, the notion of post-abortive syndrome has surfaced. This so-called syndrome has no scientific support. Nevertheless, a well known professor of medicine wrote in a popular medical publication that scientific studies should not be necessary to prove that a woman who had an abortion is inclined to psychological distress and extreme suffering. In Texas, a Republican delegate candidate has argued that women who have undergone abortion are prone to drug abuse, alcoholism, and suicide. Both doctor and delegate are wrong. Women who have gone through abortions know better. According to Sabine Lambert, we need to go beyond the right to control our body and recognize that our mind is also ours. On her group’s website many women have written that they felt ashamed for not feeling negative after their abortions. Describing their experiences, which were not always easy, the women say they do not regret anything. Many say that in their mind the result of a sexual encounter was not the fetus. Sabine suggested that the image of the monstrous woman underlies the stigmatization of abortion. The woman who had an abortion and feels fine commits a double transgression. First she refuses maternity, and second she’s ok. She deviates twice from the patriarchal feminine social norm. Sabine’s group organized to demand a woman’s right to abort with head held high. The right to abort should not be limited to begging for the crumbs of tolerance or struggling for a loosening of the noose around the neck. There is no shame or guilt for the women in Texas, Pennsylvania or France. We should demand respect for their decision, as we should recognize their struggle as political, not private. From Texas to Pennsylvania to France, women’s rights have to be re affirmed. Moreover, the engagement implies defending an idea of society that goes beyond the right to abortion or women’s right to control their bodies. Maternity and the right to decide are under attack as is as the conception of women as full citizens, in France and in the United States. In the United States, two recent cases of mistreatment of women show that an individualistic, utilitarian, patriarchal, neoliberal idea of society normalizes cruelty. A woman in rural Pennsylvania has been sentenced from 9 to 18 months in jail for providing, through an online vendor, RU 486 to her 19-year-old daughter, who wanted to end an unwanted pregnancy. The nearest abortion clinic is 75 miles away. The woman was reported to the authorities by the local hospital where they went when her daughter had stronger stomach cramps. The details of the story show the intricate manipulations of events that led to the charge that sent this woman to jail. A state senator commentating on the case accused her of endangering the welfare of a child. It is not clear which child he is referring to. In this judgment, the fact that a fetus is not an unborn child fades away along with the acknowledgment that her daughter is a person and not a womb made to carry children. She was also charged with “offering medical consultation about abortion without a license”. The daughter did not have health insurance, and the mother and the family seemed to have limited resources. The reality is that the mother had no information about abortion and, working in this vacuum of respect for rights to help her daughter, used the Internet to cut costs. The judge ruled, “This was somebody taking life and law into their own hands”. In fact, this situation is created by a system that plays with women’s lives without any respect for the latter. It works by creating a halo of shame and guilt around the woman, a halo that obscures the shame that the state has for not fulfilling its responsibilities. Meanwhile in Texas last week, a court decision authorized HB2 to go into effect. This bill imposes restrictions on abortion centers, demanding them to meet the standards of hospital surgery departments. There is no medical reason for that requirement. Nevertheless, it forced 13 clinics to close immediately. Constraints imposed on women who decide to have an abortion are also medically unnecessary. Now, a woman must arrange four visits to the clinic with the same doctor in a very rigorous timing. She must undergo an unnecessary and invasive vaginal probe ultrasound. Then she has to listen to the description of the development of a fetus, completing her physical torture with a psychological one. With this measure, women from the western part of Texas will have to travel up to 500 miles round trip to an abortion clinic in San Antonio, the last area where the eight remaining clinics are located. The situation’s worse for the large population of people who live in the Rio Grande Valley without documentation or who have work permits that allow very limited travel. Meanwhile, immigrant women will have to go through immigration check points to reach an abortion clinic, basically depriving immigrant women from this area of their rights. From the United States to Europe, new measures and laws add devastating constraints on women. In Europe, austerity measures stripped women of their way of life, work, and access to public services, most notably in Greece. Although in France abortion is free of charge and guaranteed by law, a certain rationale of profitability combined with austerity measures has made access to abortion centers and hospitals trickier. Forced restructuration has closed many locations where women had access to reproductive services. While the Pennsylvania and Texas cases would be inconceivable in France for now, Maya sees the attacks on labor laws and on public services as the point of entry to make women the first to be harmed and exploited. She emphasized that immigrant women are always in the forefront. She added that these situations are unacceptable and that it is time to retake the initiative to defend the rights that protect the majority of the population. The Jesse R. Dawson State Jail, in Dallas, Texas, is a minimum-security prison for women. Corrections Corporation of America, CCA, runs the jail and turns a tidy profit doing so. Actually, the profit is messy and bloody. Dawson State Jail is a hellhole, literally a death trap for women. Wendy King spent a year at Dawson. She knew that she and her sisters and her mother all have uterine problems. When she started bleeding, she called immediately for a doctor. None ever came. Ever. She bled continuously for nine months. No doctor ever came. Ashleigh Shae Parks, 30 years old, died of pneumonia. Her family, and others, say she was denied medication until way too late. Pamela Weatherby, 45 years old, died. Weatherby was taken off her prescribed insulin injections, and repeatedly went into diabetic coma. Until finally she died. Sheeba Green, 50 years old, suffered from diarrhea and difficulty breathing. Nobody did anything for a full three days. When she was finally allowed to go to the medical unit at Dawson, she lay for a full three hours before anyone even looked at her. Seven hours later, a doctor finally called an ambulance. The next day, Sheeba Green died of complications due to pneumonia. Autumn Miller was in Dawson for a probation violation. She was in for a year. Miller knew something was wrong. She asked for a PAP smear and for a pregnancy test. She was denied. As time wore on, cramps and pain increased. Finally, one night, her pains became too intense for guards to ignore, and they took Miller down to the `medical unit’. Of course, there are no doctors at Dawson overnight, and so guards `took care’ of Miller, or, better put, took care of business. The guards said Miller merely had to go to the bathroom, and so they gave her a menstrual pad and locked her in a holding cell. Despite Miller’s pleas, nobody came in to check, and so Autumn Miller gave birth to Gracie Miller, in the holding cell toilet. 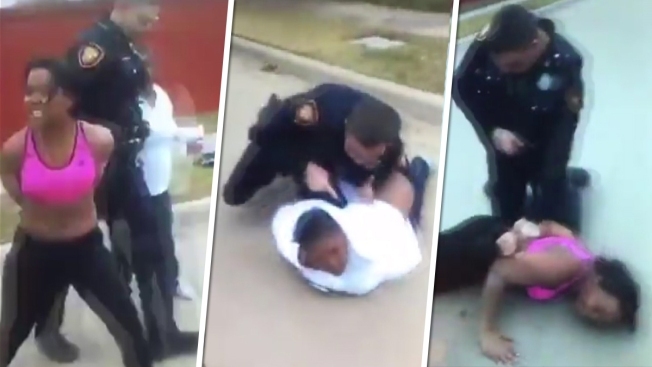 Guards then came in, shackled and handcuffed the mother, and took mother and daughter to the hospital. Gracie died four days later, in her shackled mother’s handcuffed arms. On Friday, Autumn Miller joined the ranks of women survivors and of families of women who died currently suing CCA and the State of Texas. Advocates, prisoners current and former, politicians and just plain folk are campaigning to close Dawson. Others wonder, “Why is Texas’ worst state jail still open?” Why? Because the lives of women literally count for less than nothing. Gracie Miller, Autumn Miller, Sheeba Green, Pamela Weatherby, Ashleigh Parks, Wendy King are the visible tip of an underground volcano that stretches across the United States, from sea to shining sea and beyond. These women were never meant to survive, and in many instances they did not. Their deaths were planned. Their deaths, the harm done, the suffering were planned. Look at the books, look at the budgets, follow the money. You’ll see. Gracie Miller was never meant to survive. And she did not.